You could say that it's a bit early to expect solid Galaxy S10 leaks but these latest ones come from as a leakster with a good reputation - Evan Blass. 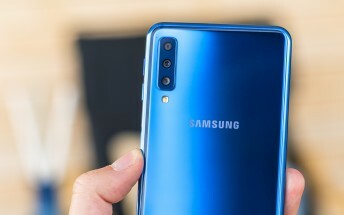 He was apparently able to obtain some preliminary details about the Samsung Galaxy S10 - it will come with a "punch hole" selfie cam, which sounds like the new Infinity-O notch, an ultrasonic in-display fingerprint scanner, three cameras - standard, wide and telephoto, and Samsung's leaner One UI atop Android 9 Pie. These all seem like reasonable and even logical advancements for Samsung's flagship for the first half of 2019. They paint a picture of a phone with much thinner bezels, likely a larger screen and a cleaner overall design. The Galaxy S10 will pack a more potent Exynos chip and will also likely lack an iris scanner.